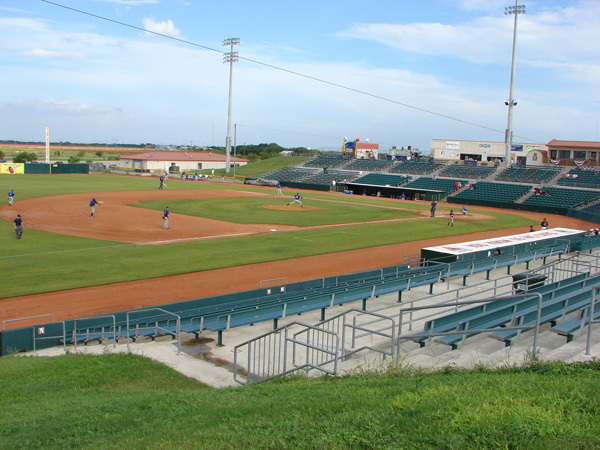 The Coastal Bend Aviators of the American Independent Professional Baseball League play at Fairgrounds Field, a newer stadium with nice seating. 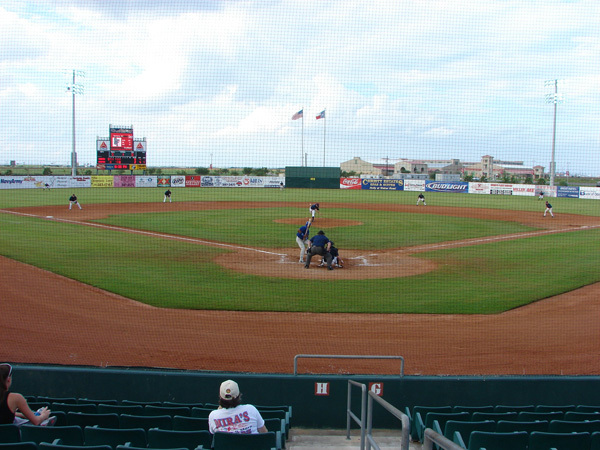 This area is known as the coastal bend part of Texas. 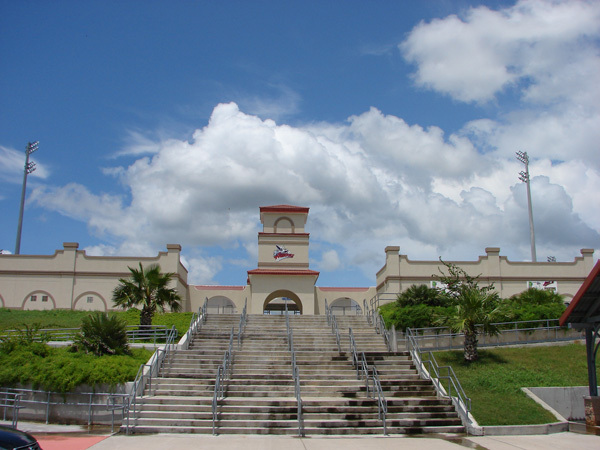 There are currently two naval air bases in the area and there was a third one in the past. 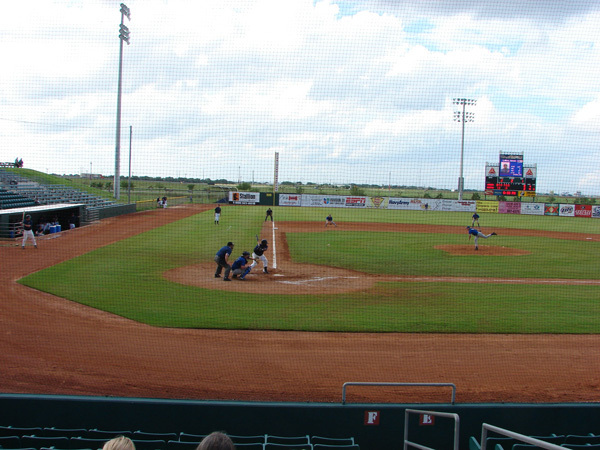 The July 4th game was rained out, so there was a double header with two 7 inning games played today. 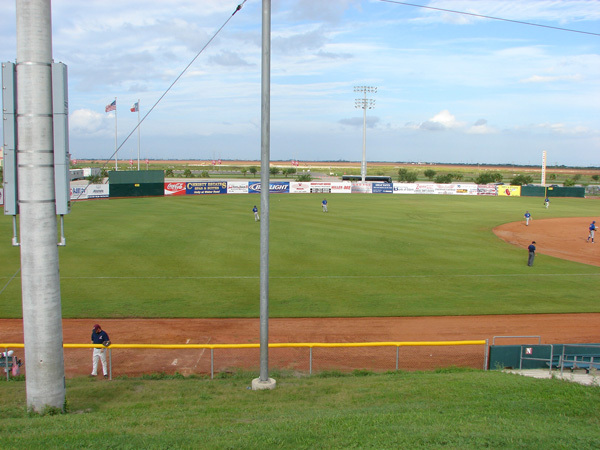 The Aviators were playing the Sioux Falls Canaries and were victorious in both games. 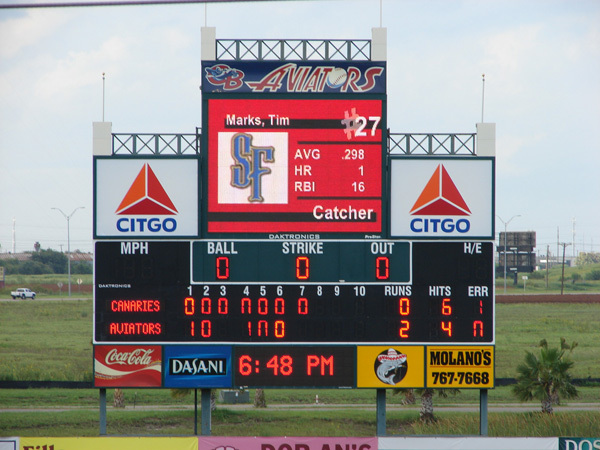 The first game was Aviators 2-0. 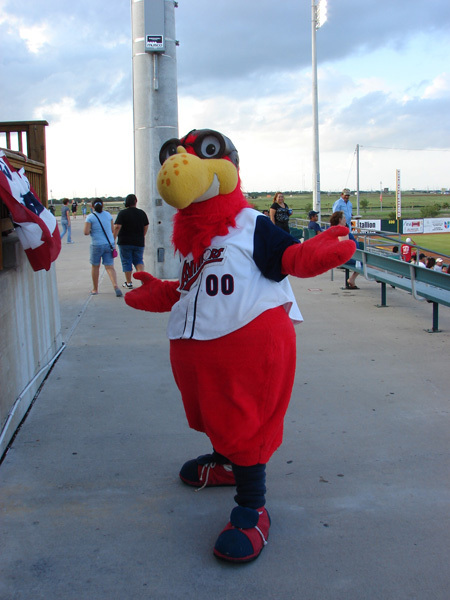 The box score was Canaries R-0, H-6, E-0 and the Aviators R-2, H-4, E-0. 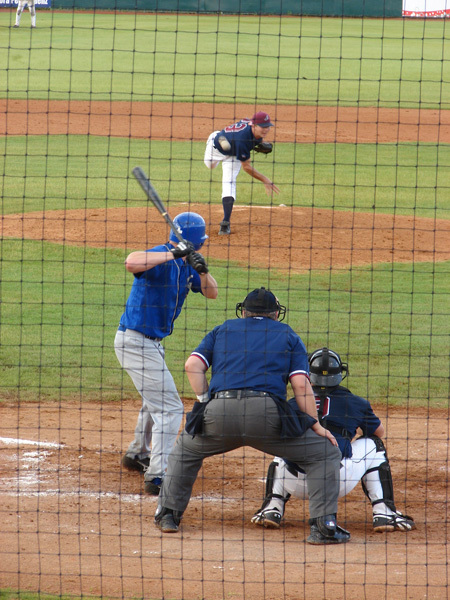 The second game was Aviators 5-2. 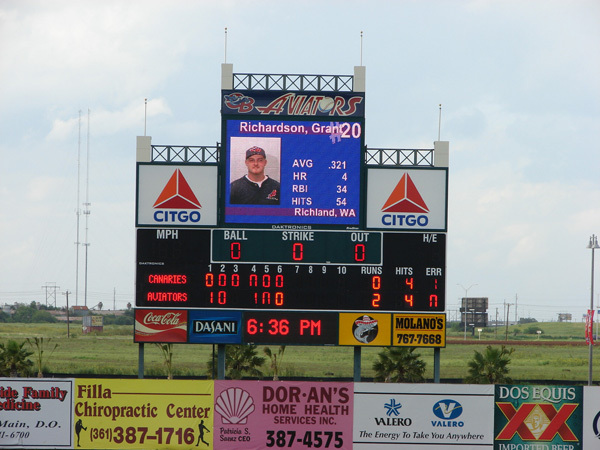 The box score was Canaries R-2, H-6, E-0 and the Aviators R-5, H-7, E-2. 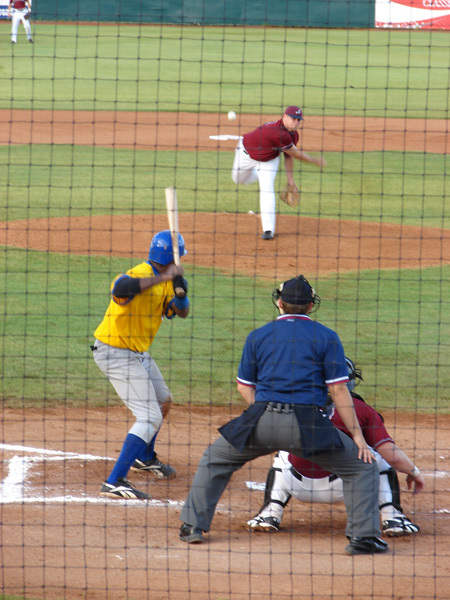 The teams changed shirts for the second game. 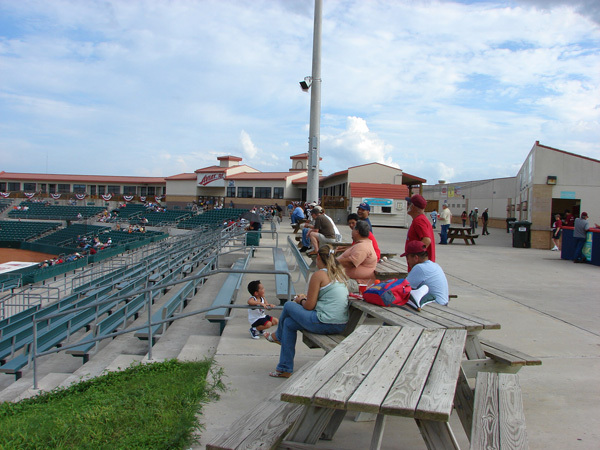 You walk up the stairs to the concourse level and then walk down to your seat. We arrived about half way through the first game and stayed to the end of the second game. We were introduced during the first game. 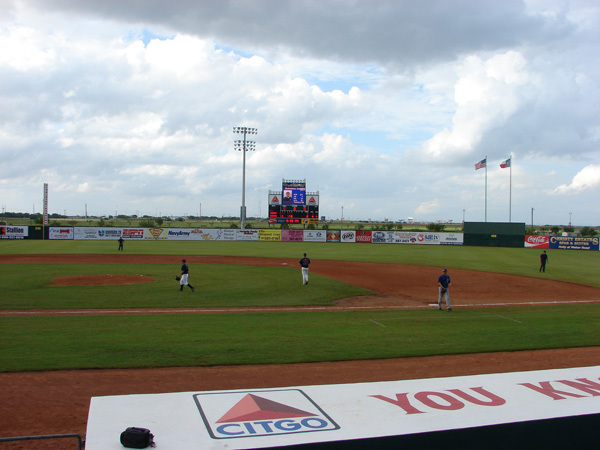 Jim had a double header radio interview during the second game. 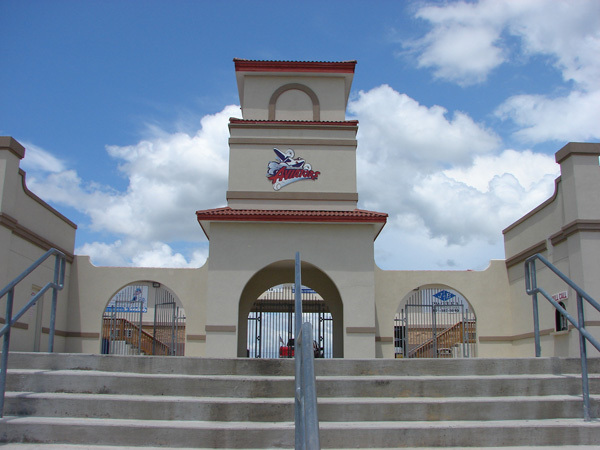 First he was interviewed by Rich Tiner, the Aviators broadcaster, on Fox Sports AM 1090. 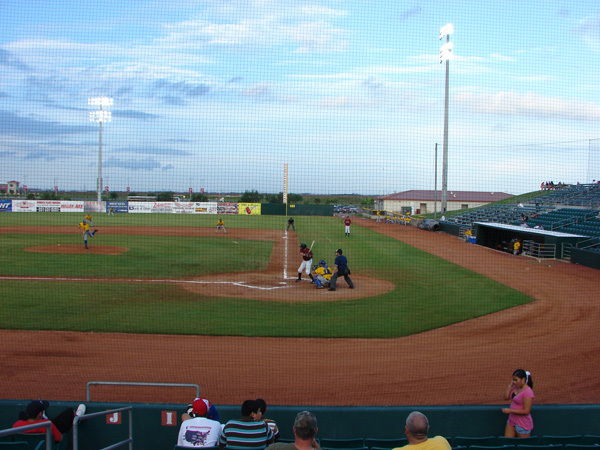 Then he was interviewed by Matt Meola, the Canaries broadcaster, on ESPN Sports Radio AM 1230. He enjoyed talking with both of them. 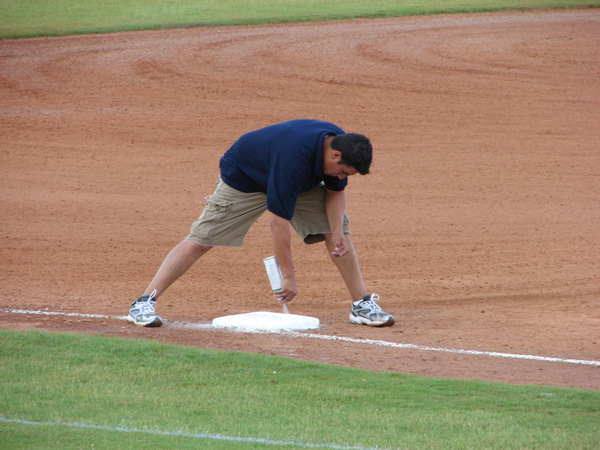 While getting the field ready for the second game one of the Aviators grounds keepers spray paints paint on all of the bases. 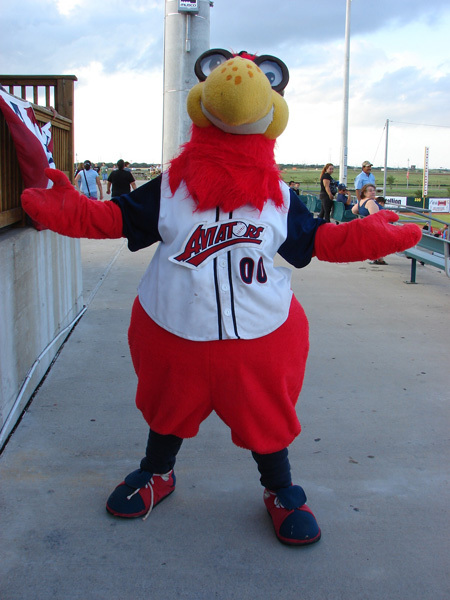 Ace is the mascot with an old fashioned leather flying helmet and goggles. 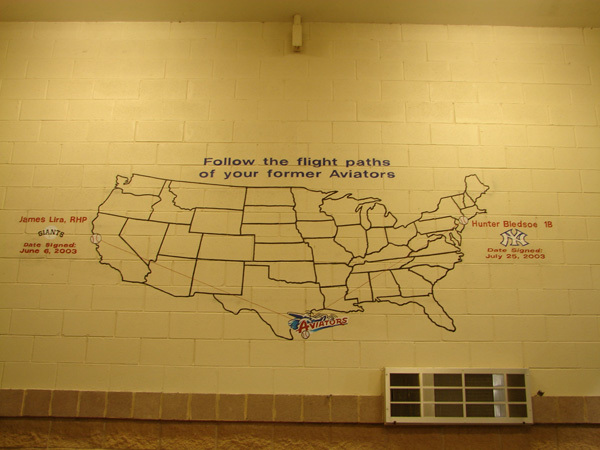 There is a map showing where Aviators players have signed up to the big leagues. 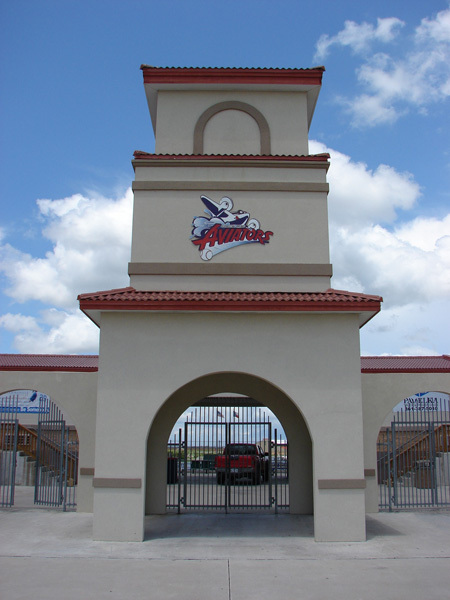 They pass the Bucket for donations on strike outs thrown by Aviators pitchers. We stopped by and picked up our tickets on the way to our motel. 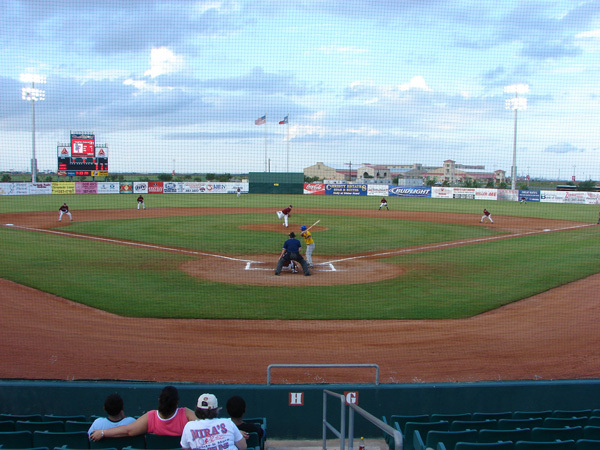 We had a nice conversation with Bob Flanagan, the GM while looking at the field to decide where we wanted to sit. Jim would like to thank John D'Amore, Media Relations, for a game used ball. 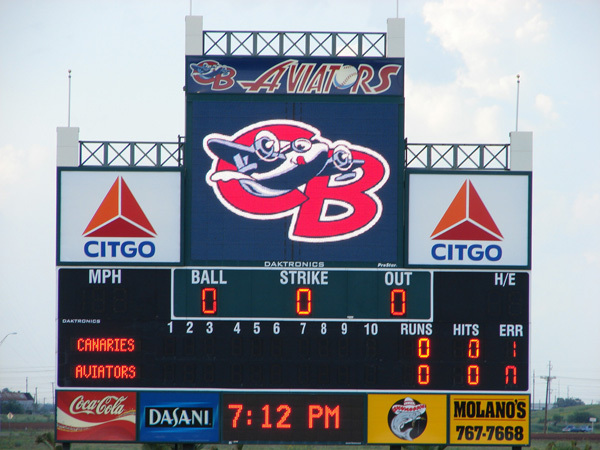 2008 Team switches to the Continental Baseball League and become the Corpus Christi Beach Dogs. 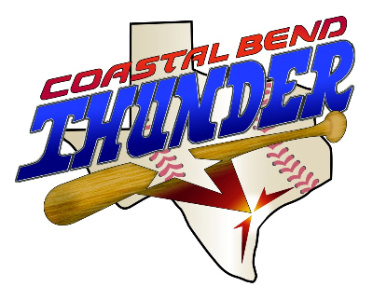 2009 returns to American League Independent League and become the Coastal Bend Thunder with new logo. 2011 no longer in operation.